The Pam arrived this morning overnight shipment, Awesome service. Love the watch it's as n1ce as I remembered. N series makes it a 2011, nice sandwich dial and display back. Rated to 300M. I need to get a rubber strap for it as leather stains in hot climate. I also prefer deployant straps for safety. 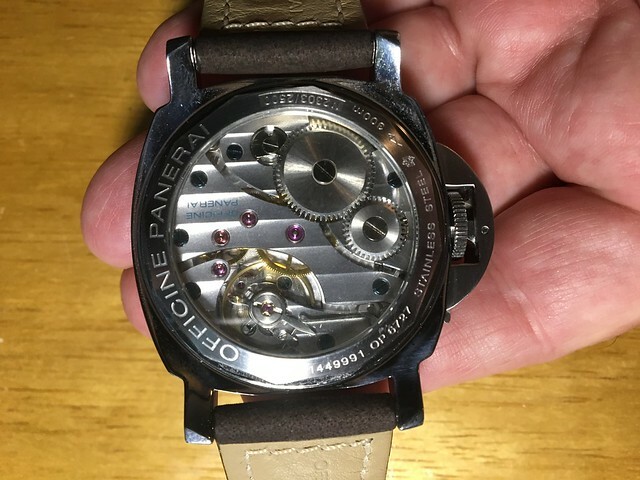 I'm really sorry to bring it up, but please make an effort to authenticate the watch asap. sorry I had to post. And share new pics with the new strap. Oh great Dimon, more sleepless nights. I got the watch from a large luxury watch and jewelry store with three high end market locations. Went through the watch carefully and read several watch sites. Nothing jumps out at me here. See my other CU of gooseneck photos, that is the only thing I am not familiar with. Will take it to my watchmaker anyway as it's probably due for service. Absolutely very sweet looking Pam .. Enjoy! 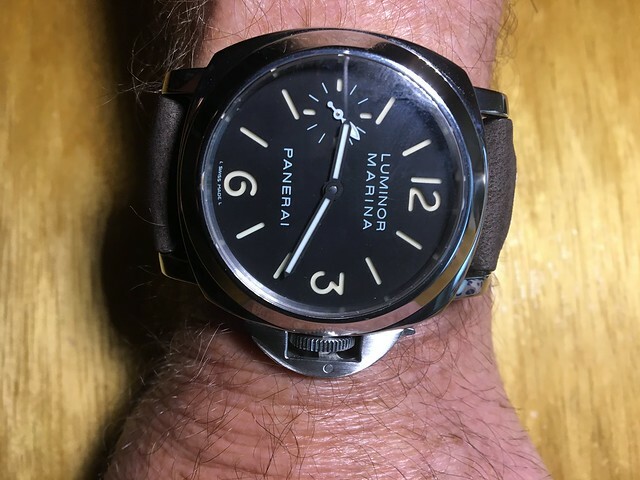 Next Topic: Panerai 111 Goose neck question, Photos anyone?